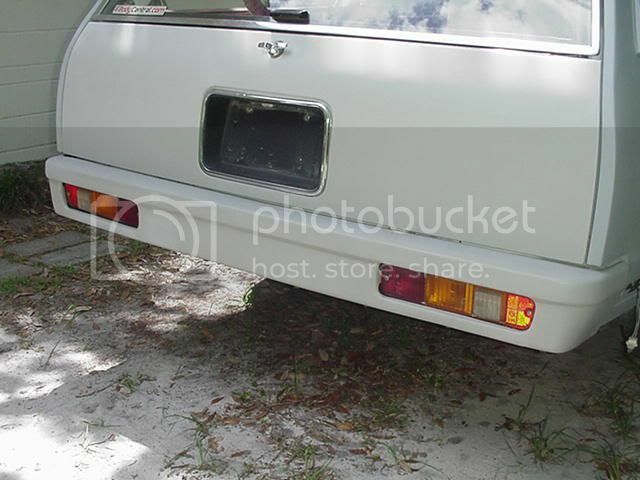 • View topic - Wagon Rear Bumper Fillers? 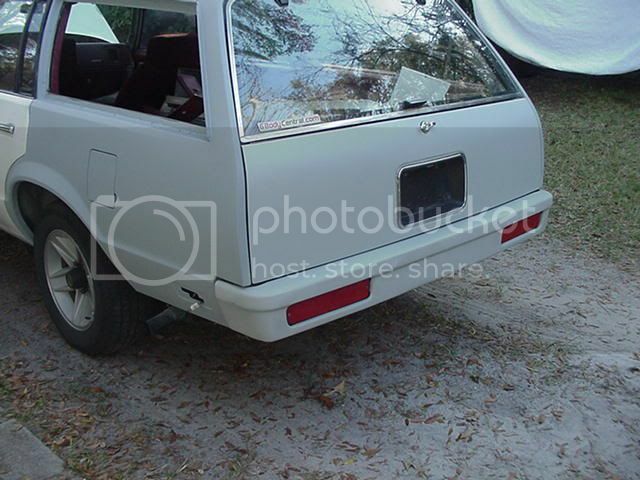 Post subject: Wagon Rear Bumper Fillers? 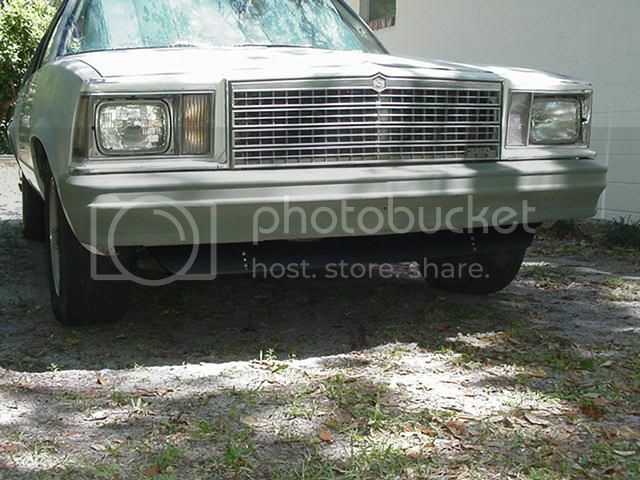 Hey Guys, I'm looking for a set of rear bumper fillers for my wagon. The ones that are on there are so brittle that they break as soon as you look at them the wrong way. I tried OPG, but they only have them for the el camino and sedan. The ones for the sedan say specifically 'except wagon'. 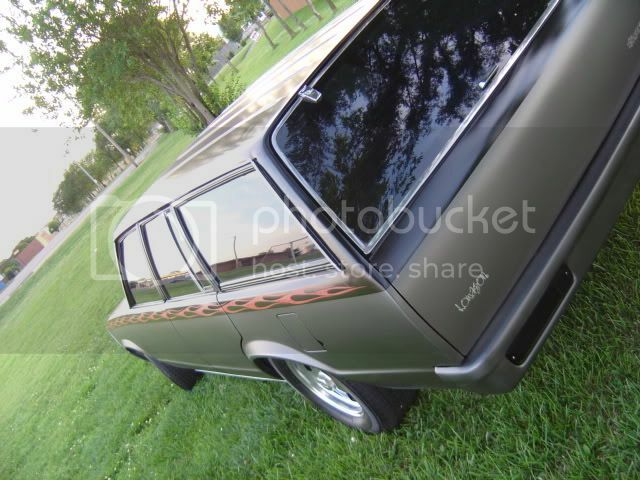 I also compared the wagon ones (whats left of them) to a friend of mine who has an El Camino and they are different, the EL ones are a bit more narrow. Now I know I could go the route of a roll pan, but I'm going for the sleeper look and want to keep the front and rear chrome bumpers. Will the sedan ones work? Does anyone know what the difference is? I also tried eBay with no luck. Does anyone have any other suggestions? 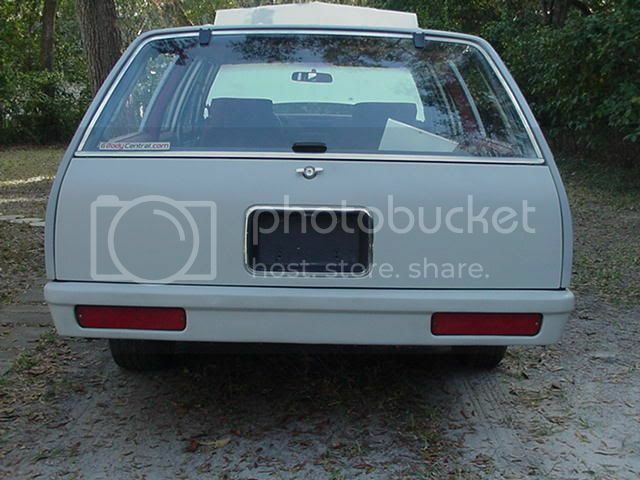 Post subject: Re: Wagon Rear Bumper Fillers? The bumper fillers are wagon specific. You'll have to find either Chevy or Pontiac Lemans/ Bonneville fillers. The Olds and Buick wagon fillers are different. Or you can do what I did...removed the fillers all together and narrowed and tucked the bumpers. That does look good! Did you do the same in the front and do you have pics? Yes, I did the front as well. Alittle different though. Looks good! Thanks for posting those pics. 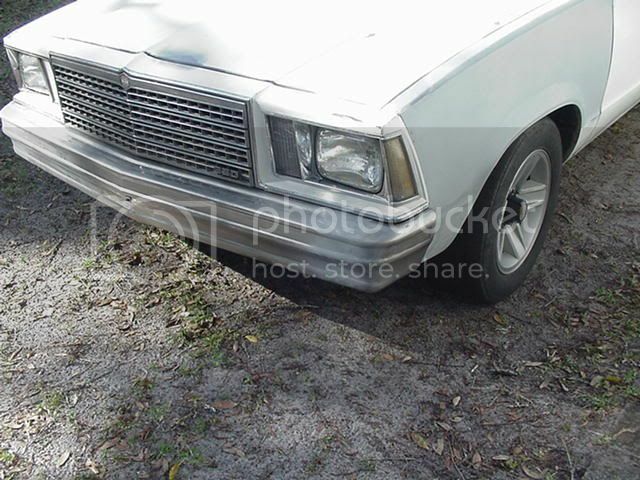 The car is in the body shop currently, I'm going to bring these pics to them and see what they can do. Incidentally, my car was originally from northern NJ. It came from Boonton. As for narrowing and tucking the bumpers. It was a time consuming job. If you're seriously considering doing it, I'll try to narrow down what it entailed. Unless the body shop owner is a friend of yours, it could get pretty expensive time wise. I'd offer my rear fillers, but they weren't in the greatest shape either. Rather than replace them, I decided this was the way I was going to go. How funny, I'm in northern NJ and only about 20 min from Boonton. The body shop is a friend of mine, but I'll have to see if this is something he want to attempt. Thanks for the offer on the fillers, but after seeing how yours came out, its' definitely something I want to do now. It should have come from the factory that way! Unless you know Malbu's, it's something you'll never notice. Very cool. Small world, isn't it? Being that the shop owner is your friend, you might be able to coerce him into helping doing the bumpers. I've wanted to accomplish the bumper work for a long time. 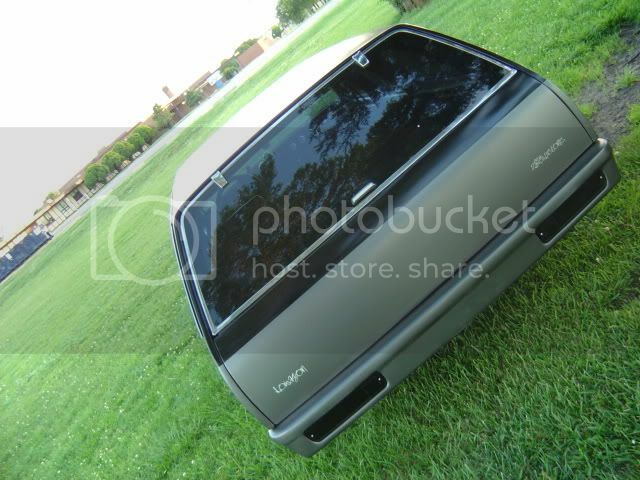 I never really cared for the way the bumpers stuck out on our cars. When I first saw this done on a few wagons, I said this is what I want to do. It's taken several years to get around to it, but being that the whole car was going for a make-over, this was the time to do it. It is a subtle change. Not too drastic or over the top. I agree, the cars should have come this way from the factory. I'm sure the new bumper laws had alot to do with that. Show your friend the pics and see what he thinks. This is a thread about narrowed and tucked bumpers. That might also inspire you. Let me know if there's anything you need to know, etc. BTW, I'm Jack. Nice talking to you, Scott. I have to say I love what Jack did, and I've droolled over the pics for a while. If you don't want to cut the bumpers you can just collapse the bumper shocks and remove the filler pieces. 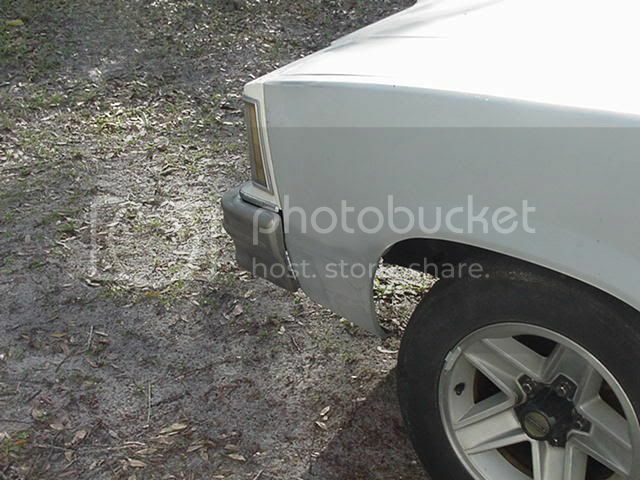 Then push the bumpers up and in towards the body, that is what I did with my El Camino. I didn't feel up to cutting the bumpers and I really didn't want to have paited bumpers after taking years to find chrome ones hahaha. Jack, was there supposed to be a link? Jess, thanks for another option and the pics. I agree that I would like to keep the bumpers chrome, but Jack's bumpers look so good that I'm willing to sacrifice that. I would've liked to have the bumpers chromed, but it would be costly. However, I did think about going with "chrome paint". It also isn't a cheap process, but from what I've seen, it looks pretty good. I will try to find that link and post it for you. Here's a car that belonged to a former member on this site. I got some of my ideas from this car. Jess, the rear bumper tucked without being cut on an El Camino looks good. I think because the Elky has those protrusions on the lower quarter panels. when are we going to see those funky euro tail lights of yours in that wagon Jack? Yeah I think its best to keep the bumper covering those little bumps on the back of the elky, thats why I've never liked the roll pans on them.